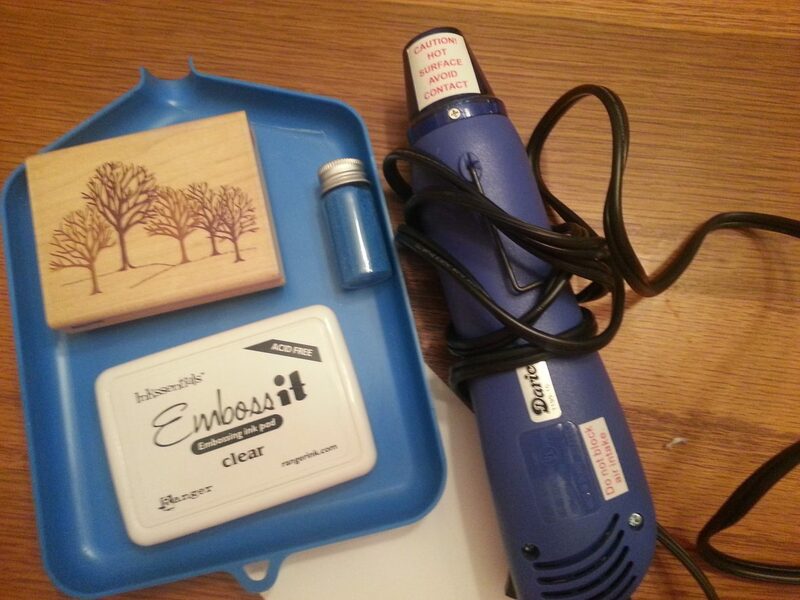 Today, I am going to show you step by step how to heat emboss. This is a super-awesome technique, but a lot of people don’t know how to do it, unless you’ve been to a class or have seen someone else demonstrate. 1. Ink up stamp very well and stamp firmly onto paper. 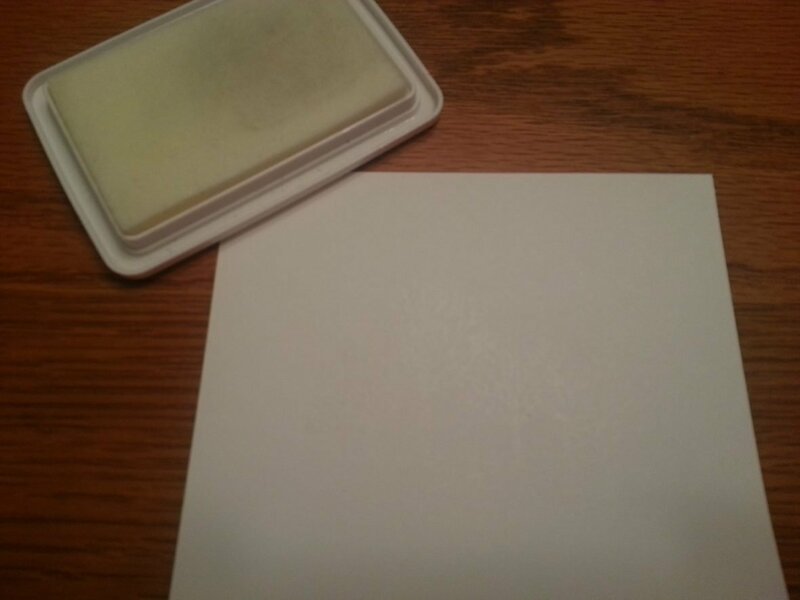 Keep in mind, unless you are using colored embossing ink, the image will appear like a watermark. 2. 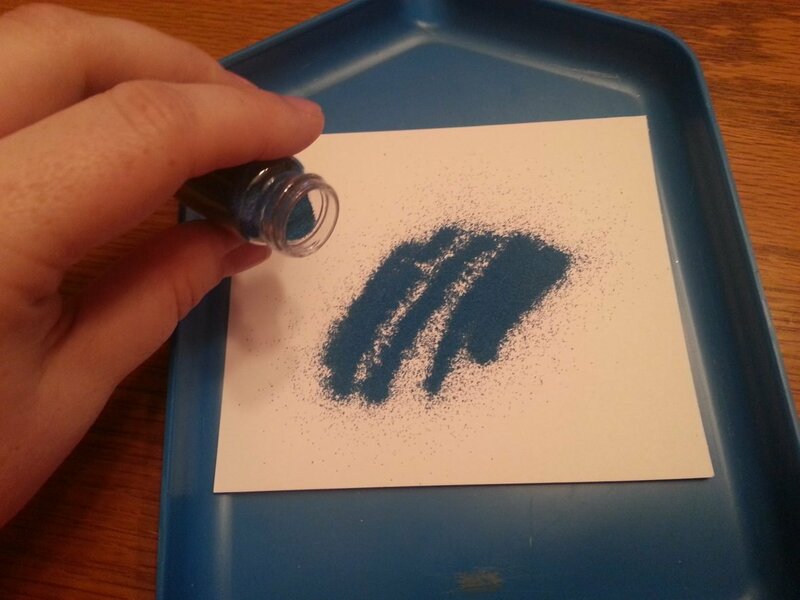 Sprinkle embossing powder generously over stamped image, using a collection tray or a piece of paper to collect any excess. 3. 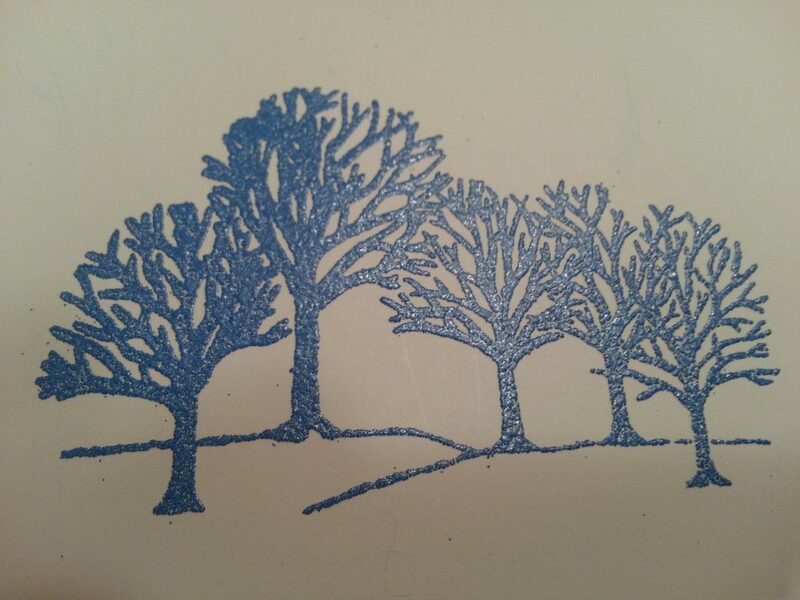 Lift stamped image carefully and allow excess embossing powder to fall off into tray. To get any extra that sticks to the paper, you may gently blow on it or tap the paper lightly. 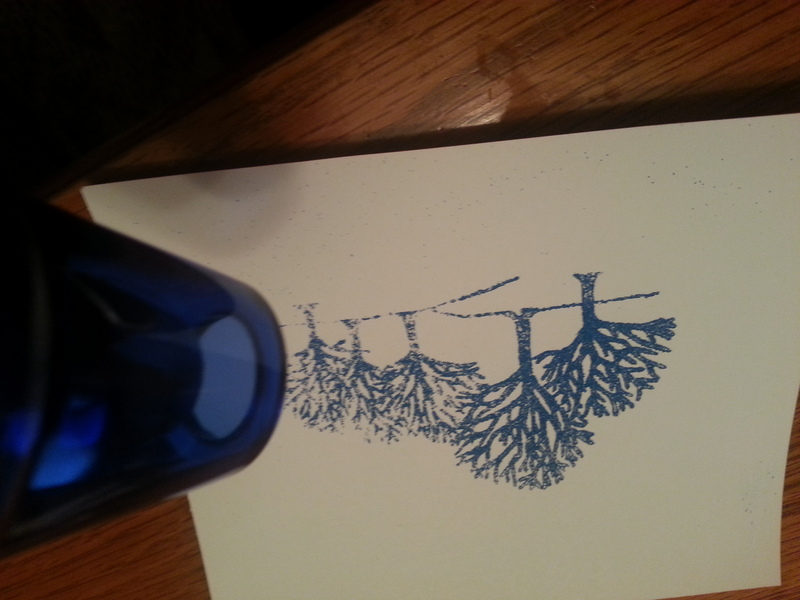 If too much embossing powder falls off, quickly add more embossing powder to that area and repeat this step. 4. Using heat gun, carefully heat embossing powder evenly. You need to hold the image in your hand by the corner when you do this (I didn’t have enough hands or helpers to take the picture and do this.) I recommend using a clothespin to hold the image if it is small. Heat guns get hot, be careful. Not only can they burn you, but they can burn tables/clothes/etc. AND burn your paper and image. 5. 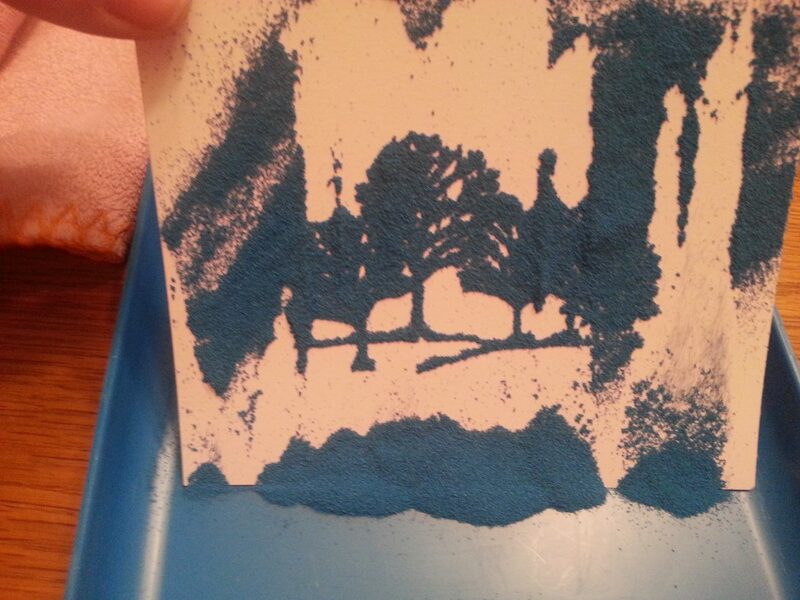 Allow the image to dry and cool down for a few minutes before touching it. If, when touching it, it feels gritty, you need to heat the image a few more seconds. As you can hopefully see by this image, embossing gives the stamped image a raised, shiny look…similar to embossed stationary or wedding invitations. It lends a very elegant look to handmade cards and scrapbook pages. The sky is the limit with embossing. You can emboss small highlights using an embossing ink pen or emboss words and stamps. Its super easy to do and is an amazing look. Stay tuned for a tutorial on how to emboss using multiple colors of embossing powder!